Jason Mical, the Community Director at En Masse Entertainment, recently interviewed with the Russian MMO community GoHa.Ru. 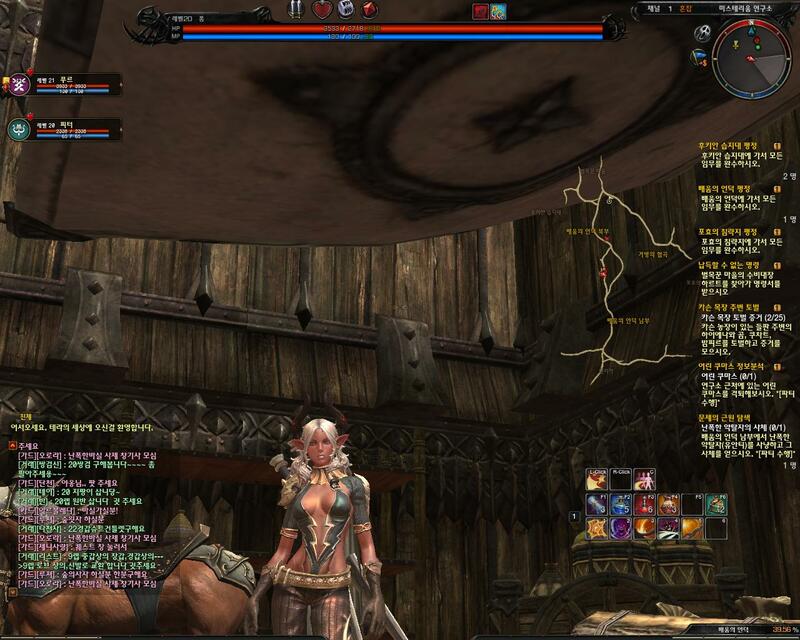 While he was particularly tight-lipped about aspects of TERA not yet revealed, he also addressed some concerns the player-versus-player (PvP) enthusiasts had regarding recent announcements about PvP in TERA. Q: Tera is a free world. How free? Can I for instance create a character and do whatever I like ignoring all the quests and storyline (except for maybe just class and profession quests)? A: This is another example of the range of choices players have in TERA – you can play either way. There’s a rich story-driven experience in TERA, and our intent is to create questlines that will take you from the first to the final level without having to repeat a single one or grind for experience in the interim. While MMORPGs are typically defined by how a player interacts with a community of players, many of them neglect the player that wants nothing to do with it all. Of course, this begs the question, “Why play a MMORPG at all?”, but that’s beside the point. It looks like TERA is offering a satisfactory “single player” experience alongside a rich multiplayer/community experience. The freedom to do whatever a player wants, with a good amount of content they can take part in, in addition to an expansive player community, sounds very promising indeed. Q: Sieges, battlegrounds and mass pvp – As we recently learnt from an interview to terahispano.com, no castle sieges are planned and battlegrounds are often mentioned as the main high-end pvp content. Do you mean “never” to sieges, or just at launch? Do you think battlegrounds will be a worthy alternative as a mass pvp event? Any indication how many people will be able to participate in one battleground? Will it be possible to participate in them as clan versus clan or alliance versus alliance? Will BG provide real motivation to regular pvp, not just some points to earn or achievements to conquer. And aren’t you afraid to “kill” world pvp with so much focus on BG as happened to some of the games. A: There has been a lot of confusion around Sam’s reply in that interview, so it’s worth noting that just because Battlegrounds will serve as one avenue for large-scale PVP doesn’t mean there won’t be others, and just because there won’t be sieges (something that’s been done in other games) doesn’t mean there isn’t something new and fresh in TERA that players haven’t seen yet. We’ll be talking more about this in the coming months! The niggling doubt in the back of PvPer’s minds was the lack of castle sieges, and that battlegrounds would be the focus of large-scale PvP. Players began to question just how rewarding PvP content would be, what the political system in the game would look like, whether or not guild/clans/alliances could participate in battlegrounds, etc. Jason Mical doesn’t explicitly address any of these issues; however his response suggests that large-scale PvP will come in many forms, and that Battlegrounds are only a part of that. That he describes it as “new and fresh” certainly makes one wonder. En Masse Entertainment is doing a great job of keeping TERA and it’s prospects under wraps, if nothing else. ... patients undergoing the Tetris method showed more improvement over two weeks than patched patients.